Know a West Hawaii Middle or High School teacher? 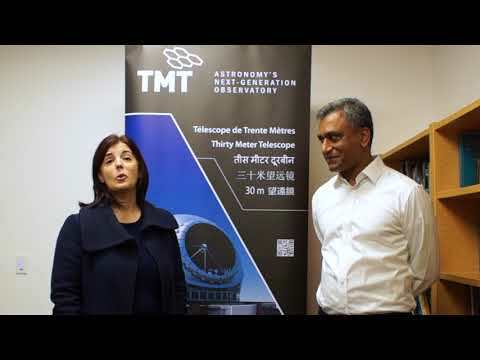 TMT and the UH Institute for Astronomy will be sponsoring a free teachers workshop Friday, October 26 and Saturday, October 27 at Kealakehe High School. Starting Friday at 6pm, Faulkes Telescope Project teacher training will get underway. Teachers will test drive the Faulkes Telescope and learn how to use it as part of their classroom educational programs. Friday night Stargazing for the entire family will be a highlight! On Saturday, UH Institute for Astronomy will conduct teacher training workshops on Heliophysics, the Sun's impact on Earth. Exciting and fun demonstrations and activities on electricity and magnetism will also be a part of the training. Childcare and astronomy activities will be availablefor teachers' children including math lessons and The StarLab, Gemini Observatory's mobile planetarium!